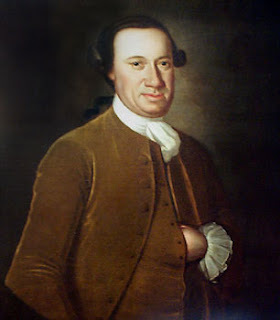 John Hanson (April 14, 1721– November 22, 1783) was a merchant and public official from Maryland during the era of the American Revolution. After serving in a variety of roles for the Patriot cause in Maryland, in 1779 Hanson was elected as a delegate to the Continental Congress. He signed the Articles of Confederation in 1781 after Maryland finally joined the other states in ratifying them. In November 1781, he was the first person to be elected as the presiding officer, leading some historians to claim he was the first President of the United States. Hanson was little more than the first among equals in Congress and had no executive power. His duties were largely ceremonial, and his correct title was President of the Continental Congress.